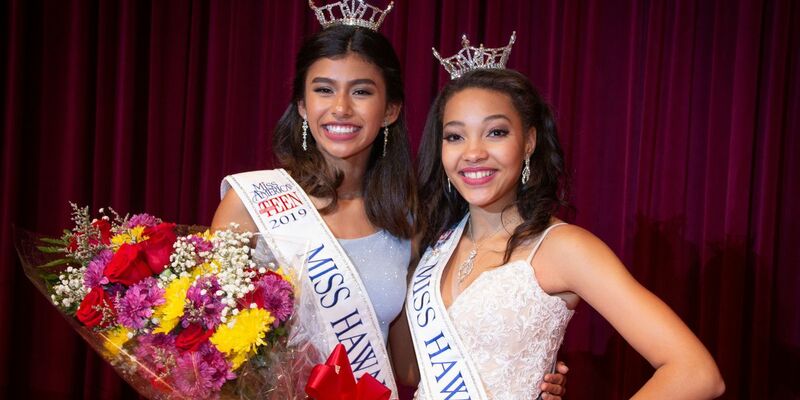 HONOLULU (HawaiiNewsNow) - Unsettled weather conditions are still lingering near the state, with the Big Island feeling most of the effects in the form of heavy rain, thunderstorms and even snow for the summits. A weakening upper level low is just to the northeast of the state, but is still close enough and strong enough to increase the chances for the heavier showers and thunderstorms for the Big Island and surrounding waters. The north and east sides of the island have been under flood advisories for much of Saturday morning. 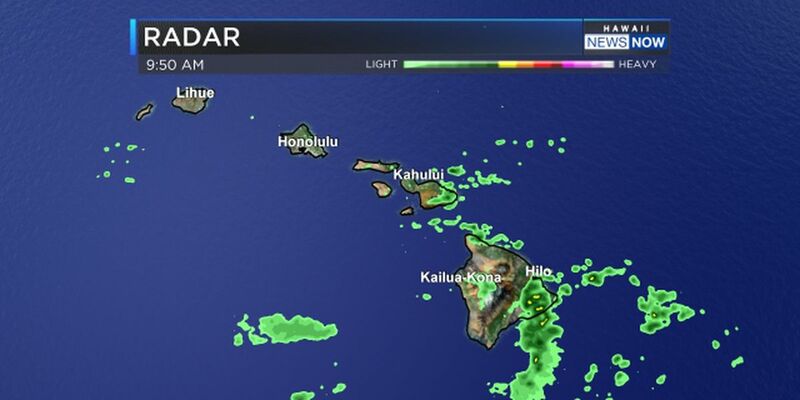 Showers will also be more plentiful for east Maui. The National Weather Service has also issued a winter weather advisory until 6 p.m. Saturday for the summit areas above 12,000 feet for Mauna Kea and Mauna Loa. An inch of snow is possible. Strong high pressure to the northeast is weakening, but it’s still generating trade winds strong enough for a wind advisory to remain in effect until 6 p.m. Saturday for Lanai, Kahoolawe, portions of west and central Maui, and the South Kohala District of the Big Island. Then there’s the surf generated by the gusty trades. 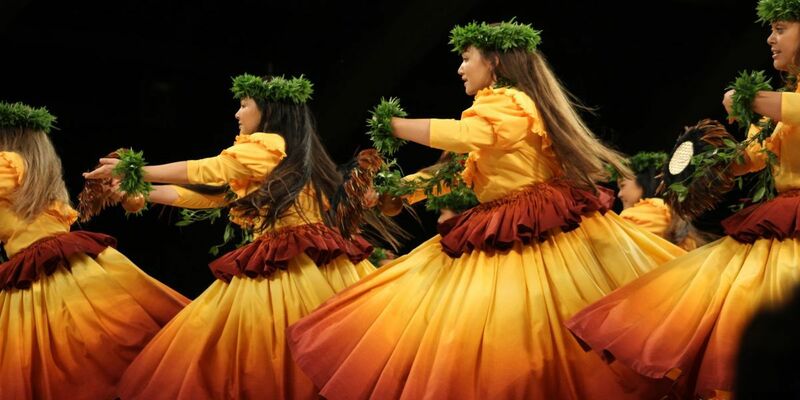 A high surf warning is posted for the east shores of the Big Island until 6 p.m. Saturday for waves of 12 to 16 feet. Waves should lower to advisory levels Saturday evening. A high surf advisory remains posted until 6 p.m. Sunday for the east-facing shores of Maui, Molokai, Oahu and Kauai for waves of 8 to 12 feet. Waves are expected to lower to 7 to 10 feet Sunday, which is still high enough for the advisory to remain in effect. 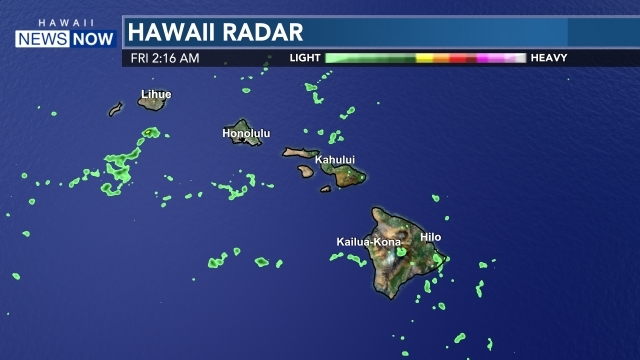 Quieter weather conditions are expected to move in Sunday and Monday, with slightly lighter but still breezy trade winds, along with fewer showers. Most of the showers will continue to be focused on windward and mauka areas of all the islands.